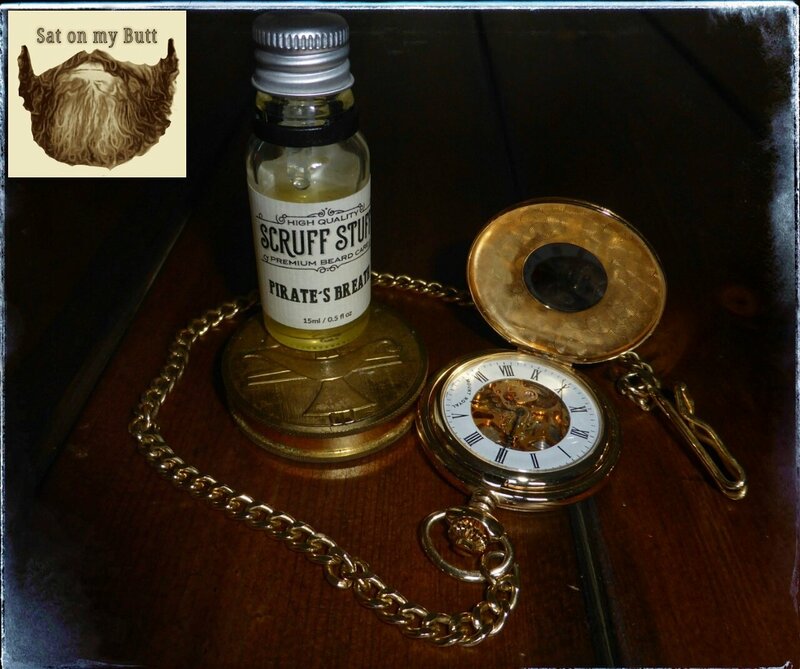 The pirate is back in town and rumour has it that his breath has improved, yes its Scruff Stuff New ‘Pirate’s Breath’ Beard Oil. Now James the man behind Scruff Stuff is up there with the best oil blenders (in my opinion), his oils are always blended perfectly , resulting in the essential oils working in harmony with each other and not fighting each other to over power the oil with one particular scent. The old ‘Pirate’s’ Breath’ was a blend of Clove, Orange, Bergamot and Cedarwood whilst the New blend is West Indies Bay, Cinnamon, Lime and Cedarwood. Now here is the strange thing, in the original Pirate’s Breath the Clove was blended so well that it didn’t bother me and Clove is my least favourite scent, however West Indian Bay can for some people can have a Clove scent and I am one of those people and the Clove is stronger in the new blend despite there actually being no Clove used. 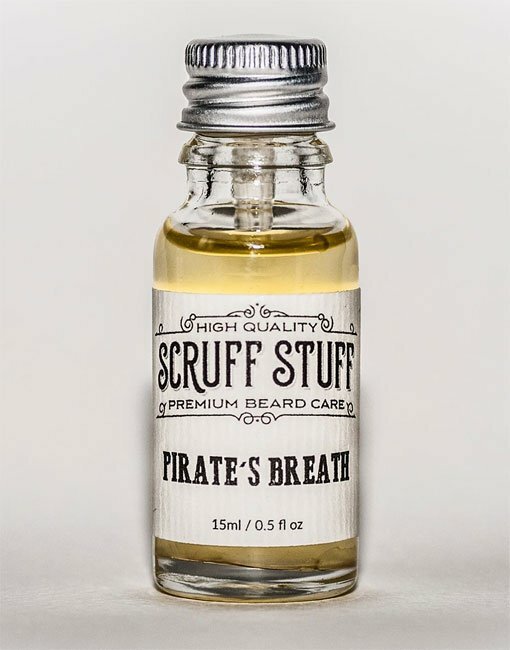 The new ‘Pirate’s Breath’ from Scruff Stuff is less flowery and sweet and a little more spicy thanks to the Cinnamon and West Indies Bay, its also a stronger scent. Scruff Stuff is testament as to why you should source your beard care products from a small set up rather than a big cosmetics company that is trying to cash in on the beard market. The products are created with passion and by a guy with a beard who wouldn’t put out something that he wouldn’t put on his own beard, the customer service is second to none because the bearded community is strong and generally look out for each other and the Scruff Stuff Facebook group Bearded F’ing Badasses has almost 2k members. You can purchase the Scruff Stuff Beard oils from the website or by clicking on the buy icon above and James also now sells a range of Beard Balms. You can also keep up to date with all things Scruff Stuff on Facebook, Twitter and Instagram.